Does this sound familiar? You’re stuck in your office at the height of summer and all the fan is capable of is pushing hot air from one side of the room to the other. Or you are covered in sweat, attempting to sleep in your bedroom under the attic, while the cool night breeze doesn’t even make it to your bed. 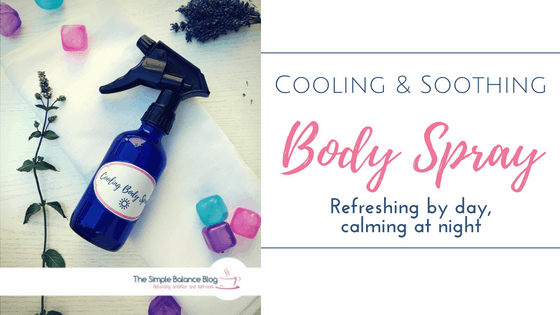 In this post, I’ll show you how to easily make a cooling body spray with just three ingredients, in three skin-soothing varieties!